Japan's IKAROS team stole the show at the International Solar Sailing Symposium in New York City, where they announced that their spacecraft had achieved controlled solar sail flight. The meeting was held at the New York College of Technology in Brooklyn, but I think the IKAROS team should have been given a ticker-tape parade in lower Manhattan. The timing would have been appropriate, as the meeting started on July 20, 2010: the 41st anniversary of humankind's first step on the Moon. IKAROS deservedly stole the show, but the Planetary Society's LightSail garnered some great applause as well. I, along with LightSail engineers Chris Biddy and Matt Nehrenz from Stellar Exploration, reported on the final design of our spacecraft (now fixed, after our June critical design review) and on our long-term plan for three LightSail missions leading into interplanetary space. LightSail 1 has moved into the manufacturing stage -- we have ordered all the parts, including the sail. The three-unit CubeSat structure is now at Stellar Exploration, as is the engineering model of the spacecraft cameras. Following our formal design review, we made a major decision: we will build a second flight-capable spacecraft as a spare for the project. A duplicate spacecraft is a cost-effective form of insurance. If we need it because of any type of accident, then we have it; if we don't need it for flight, then it will serve both for ground tests and for eventual future uses as we develop LightSail 2. To save money, we will procure the parts now for the spare, while we are building the prime spacecraft. Our anonymous donor supports the second spacecraft and has provided an additional matching donation, challenging our members to help us with this undertaking. While at the New York meeting, our LightSail team met with the IKAROS team to discuss our different designs and approach to deployment. Our two spacecraft could not be more different, each tailored to our individual flight objectives and space environment. IKAROS spins using a novel method of attitude control: turning on and off LEDs embedded in the sail to change reflectivity and create an imbalance of the solar pressure force. Doing this provides a slow turning capability, suitable for flight in interplanetary space but probably not as suitable for turning more quickly in Earth orbit. LightSail 1 turns by use of powering up a reaction wheel, changing the angular momentum of the spacecraft. It is also an ultralight spacecraft, testing pure solar sail flight for the future, whereas IKAROS is a technology test vehicle -- much heavier, with many other technological elements to create a hybrid propulsion unit for planetary missions. Despite its smaller size (or because of it), LightSail 1 will have greater characteristic acceleration. Our methods of deployment are also very different. IKAROS used centrifugal force to pull the sail out, whereas LightSail 1 will have lightweight booms for deployment while the spacecraft stays relatively motionless. Years ago, most aerospace engineers had rejected spinning solar sails because they thought that control and deployment were too complicated. The Japanese team proved differently. Another big difference between our two solar sail projects is funding: IKAROS is a government-funded mission; ours is, of course, funded privately by members of the Planetary Society. A number of the presentations at the symposium focused on using sails for atmospheric drag, not as solar "sailers." As orbital debris becomes ever more important, simple atmospheric drag additions for spacecraft have become a vital technology to explore. Drag causes the spacecraft orbit to decay (shrink and come closer to Earth), eventually to a region where the debris will burn up in the atmosphere. Hanging out a sail at the end of a spacecraft's mission might be a relatively inexpensive way to provide such drag. Demonstrating this, after all, was the goal of Nanosail-D, the spacecraft development that stimulated us to come up with the LightSail design. Orbital debris is now a major environmental and political issue. Some of the commonly used low Earth orbits are becoming relatively crowded and the risk of collisions greater. LightSail's mission objective requires an orbit without atmospheric drag, and we will certainly want to be in an orbit that has a long lifetime -- unless, of course, we can be clever and use the sail after its nominal mission of solar sail flight to help the orbit decay. We also intend to investigate the atmospheric drag brake as a by-product of our solar sail development. That is one of the purposes of our Space Act Agreement with NASA Ames Research Center. All these considerations and developments make me more excited than ever about the new ground we are breaking with LightSail. "We" includes our LightSail team and you -- all the members of the Planetary Society. Without your crucial support, we wouldn't be embarking on this bold venture. 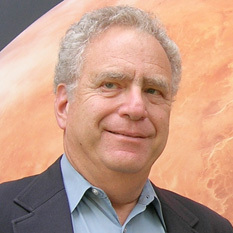 Louis D. Friedman is cofounder and board member of the Planetary Society.